It rained heavily all night and the other hikers in the shelter were up early to try to run into Damascus since it was supposed to rain all day again. Stretch and I took our time getting up because what’s the hurry to get out in the rain? Whenever we are not out of a shelter by 7:30am with everyone else, they assume we’re zeroing there. Don’t you people realize this is not a job? You can start late. We started at 9:30 finally, and were rewarded with the rain stopping and the sun coming out shortly after. The worst part about multiple wet days in a row is putting on cold, wet socks and shoes in the morning. But there’s no point in putting on dry socks when your shoes are wet and you’re about to walk out in the rain any way. Better to save the dry socks for later. This morning wasn’t too bad, my feet warmed up quickly while hiking, although I swear my socks were more wet this morning than when I took them off last night. 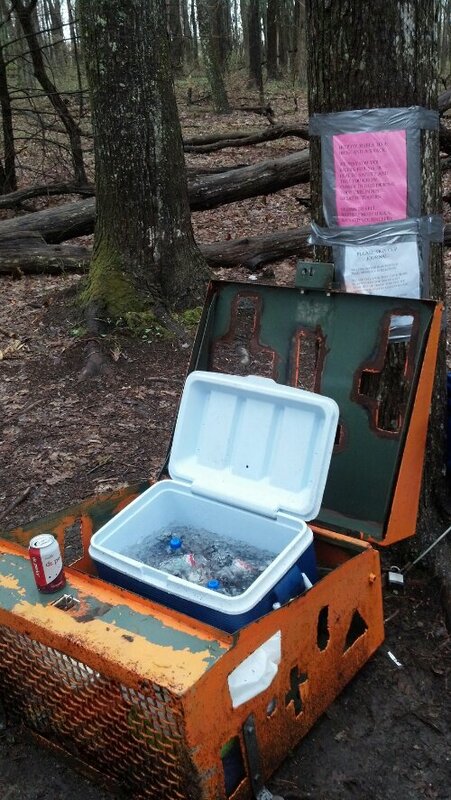 We hit some great trail magic soon after the sun came out, a cooler of sodas and snacks left out by a church group. There was even ice in the cooler so we knew it was fresh and we actually ran into a couple walking in from the road to add more goodies so they must be out there every day to keep up with all the hikers going by now. Some southbounders we saw the other day said they counted at least 60 northbound hikers per day. I generally see less than 10 but if we’re moving at the same pace, we could be a quarter mile apart and never see each other. There was a portion of the trail today that was handicap-accessible, which is great except that it ran through a farm field. The cows were presently in a neighboring field but there were plenty of cow pies to indicate they were in the field with the trail often. I’m not sure how well wheelchairs and cows would go together. We thought it was going to rain heavily all day but it only very lightly rained a couple more times for very short durations. It was the kind of weather where if you put your rain gear on, the rain stopped; and if you took your rain gear off, the rain started. But rain gear is so warm to wear that I kept fighting with Mother Nature and taking mine off. I also always am able to convince myself that I can outrun the rain. That usually works for 5 minutes or less. We stopped at Abingdon Gap Shelter for dinner and then pressed on a few more miles for a total of 19.9 miles today. We are currently on what’s known as the “Tennessee Turnpike” which is a long stretch of trail that is relatively level and quick to get through. And tomorrow we will go down the “escalator” into Damascus, a slow and gentle decline. I liked breaking for dinner and continuing to hike. Now that it’s light out later, there’s more time to hike, but I do start to need another meal around 5.
hey kris – when you stop for dinner…what exactly are you eating out there? something rehydrated? Dinner is usually mac and cheese or pasta sides or rice sides. A lot of people do ramen or instant mashed potatoes. Stretch and I started hiking together when we made plans to go to Dollywood. 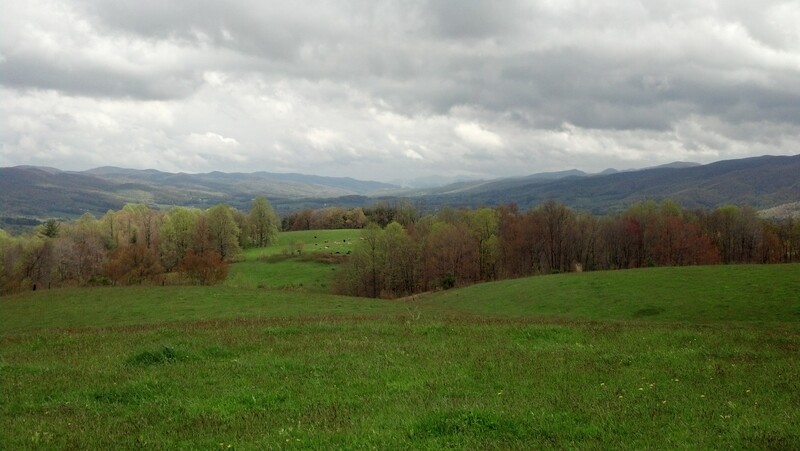 We hike at pretty much the same pace and generally want to do the same things so it works out. Excellent walkabout. You are doing great.